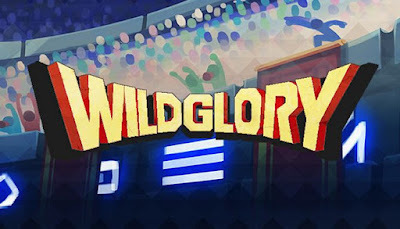 Wild Glory is developed by Manalith Studios and published by LAJE Studio. It was released in 8 Mar, 2018. Wild Glory features quick matches, where the gladiator who claims most of the Coliseum crowd becomes the acclaimed Champion! Use several types of weapons, such as bombs, lions, force fields, and even the thunder hammer! It is great to think that the more the better, and because of that you can play with up to EIGHT FRIENDS! This local party game also features Gladius Bots, if you need them. Classic Arena is the main game mode, where you fight with other players to conquer the crowd. As the crowd gets excited, they will drop items and even release lions in the arena! Survive endless waves of ferocious lions and evil gladiators with your friends in this coop game mode. Fight to get better items and try to get as far as you can! Sharp Shooter has no real reason to be named like this, but in this game mode, you will find raw fights! Finishing your opponents will lead you to worse weapons, and the first one to pass through all weapons wins the battle! In explosive soccer, attacks are not effective at all, but bombs are always unstoppable! Collect snowballs to freeze players and hit the bomb to explode other gladiators!